Endon Lighting Omega LED illuminated bathroom mirror is a stylish rectangular design mirror with 20 cool white LED lights at the top and bottom. The product code for this Endon bathroom mirror is 39237. 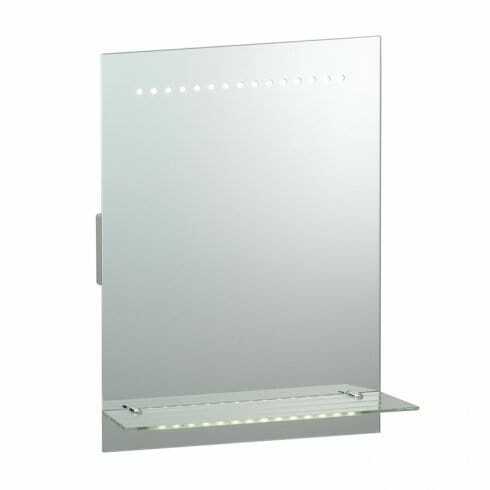 The Omega LED bathroom mirror combines style and function, features a hand activated motion sensor to switch the mirror on/off and comes complete with heated demister pad, lit glass shelf and shaver socket.